It does happen that when we watch a particular film whose concept we might not understand we find ourselves saying the same thing, “it makes no sense”. Unfortunately, “JEAN OF THE JONESES” is a type of film I could not understand the point of being made in the first place. It has a storyline but it’s not too compelling. It has interesting characters, but has no depth. It has some directorial approach, but put with least effort possible. At the end of the day, why make a film where it’s obvious that nobody in it tried to make it a better film to watch? Jean is a young writer who finds herself in the middle of two paths; she is not sure which to chose to move on. Her latest relationship has also not ended on a very good note, putting her into position where you wonder what’s next for her? But that does not end with her as well, as her entire family seems to make choices for everyone around, like it’s a normal thing. But judging one for the choice might be acceptable, but when an estranged patriarch of the family appears in front of the door to die, everyone has to face a bigger problem than they could have imagine. Daphne (Michelle Hurst) is the oldest family member who, many years ago, made a decision for the entire family of leaving her grandchildren with no father. Ray (Mamoudou Athie), the paramedic finds it wrong to fall for Jean, when they have a dead body between them. That might trigger a kind of laughter in the audience, as the way it was shot and even acted, a seemingly emotional scene appears senseless and unimpactful. 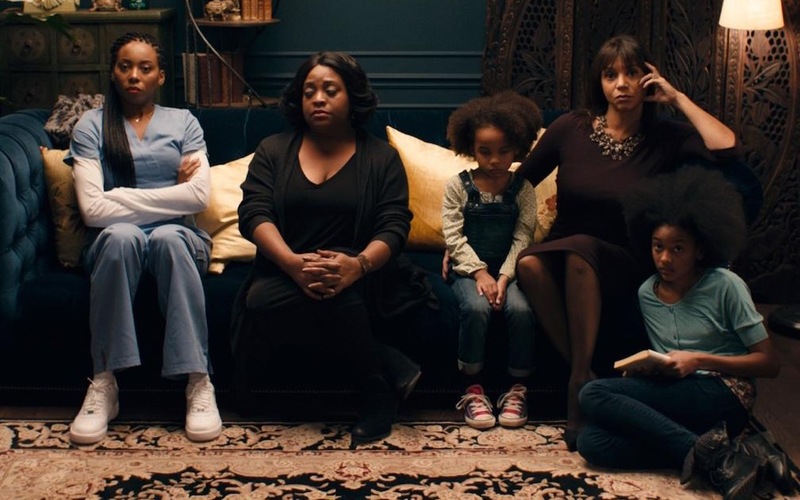 In conclusion, there surely will be the audience that will admire Stella Meghie’s latest work and the storyline she chooses to tell in her film. But unfortunately, it may not reach the wider audience due to lack of depth in “JEAN OF THE JONESES”. Don’t get me wrong, it’s of course heartbreaking to know when a family member keeps secret something that could have changed the course of a family’s history. But that story, unfortunately, does not hit the heart or anyone’s soul due to many directions the filmmaker tried to take, but failed to reach any of them.